The Mercedes-Benz L-series is a conventionally setup truck (engine in front), but with an engine that is pushed into the cab and is called a Kurzhuaber (Short Bonnet) in Germany. It was a heavy duty monster designed for hauling trailers, but could also be available in a number of people hauling versions. 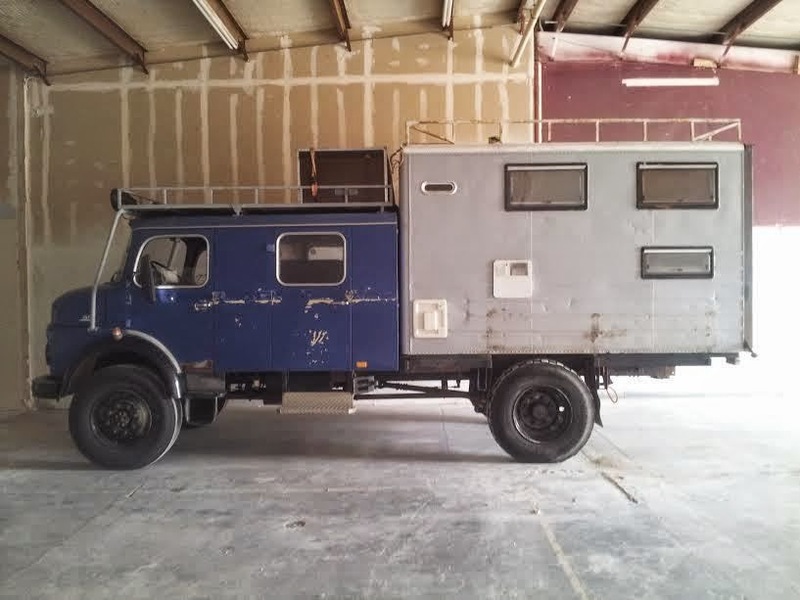 Find this 1978 Mercedes-Benz LA911B DOKA Explorer here on eBay offered for $35,000 buy-it-now or make-offer located in North Richland Hills, TX. Tip from Sean. The L-series should could be confused with the Unimog (the 4X4 military style machine), as the L-series was designed to be a workhorse for fire engines, hauling, and general purpose on-road needs. It was available in 4X4, but the focus the L-series was more for the on-road (sometimes poorly paved ones) applications. This 4-door double cab LA911B is setup with an OM352 5.7 liter diesel inline-6 cylinder naturally aspirated engine rated around 110 horsepower. 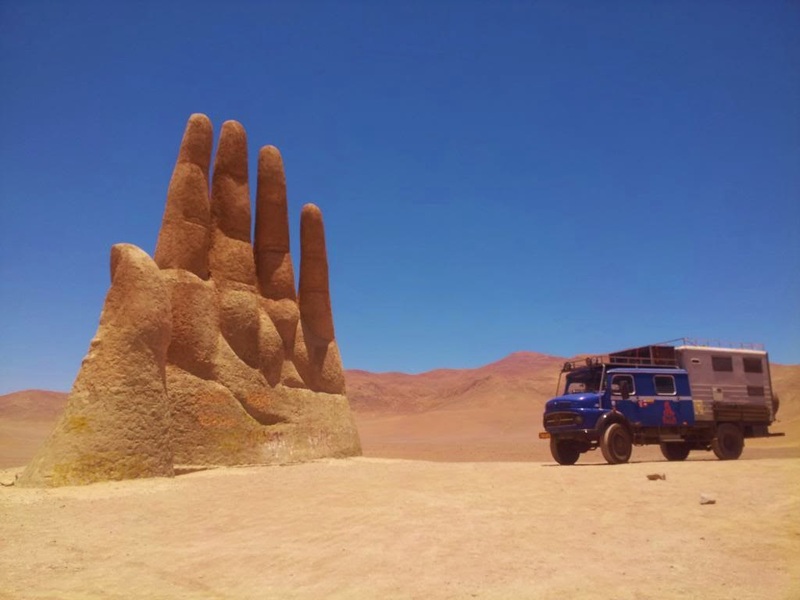 The seller includes more information and pictures on an expeditionportal classified ad here. Here's a follow vehicle. You know, when you need to work out. HA! That's brilliant. 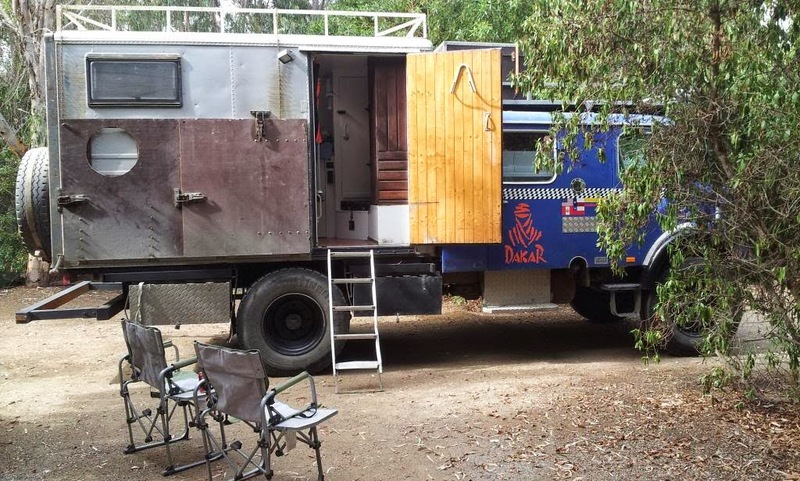 For $5,500 it doesn't seem that bad simply as an old bus, regardless of the gym equipment. But I am really, really wary of anyone who tells me they are selling me an $83K per year business for the low, low price of only $5,500. If this bus laid golden eggs they would not be selling it. It is very creepy, that's for sure. I'd also agree that as a business opportunity, it's rather suspect. Notice he used a . instead of a , so in my mind it makes $83 dollars a year. Which is very reasonable.